Larry King: You’ve talked about Trump on ‘The Carmichael Show’? Jerrod Carmichael: How can you not talk about Trump? Larry King: I say, everyone in America talks about him at least once a day. Jerrod Carmichael: He’s the new Vietnam. Larry King: Does he come up in the third season? Jerrod Carmichael: A little. Truthfully, with that said, I don’t talk about him a lot in this one because I don’t think there’s a new take on it. Larry King: What can you say? Jerrod Carmichael: Yeah, a lot of things have been said. You know, a lot of comedy shows, they all take their swings at him. Larry King: In Late Night that’s all they do. 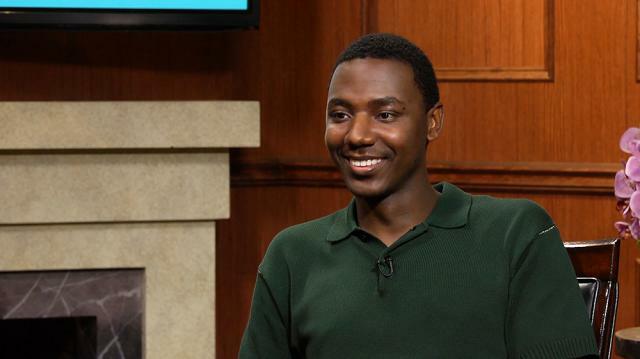 Jerrod Carmichael: Late Night, it’s become the thing you become innovative with Trump jokes. And again, you can’t help it, I guess. It’s so immediate and important so I understand it, but I don’t think there is a new take on it that kind of remains to be seen. What I’m more interested in is how he affects culture, and how he, you know, affects us, and how we react to him- our knee jerk reaction to him. Larry King: And what are your concerns about him there? Jerrod Carmichael: Well, you know, it’s funny. Politics, in general, we’ve kind of eliminated nuance. You know what I mean? Jerrod Carmichael: That’s why I kind of have fun with the show. Everything becomes um… it’s hard to even read the papers because every headline is increasingly sassier. We’re all just kind of... Everyone's a comedian now. You know what I mean? Larry King: It’s like a bad sitcom? Jerrod Carmichael: Yeah, it really is. And everyone is taking a swing and I get it; but, it’s just exhausting. So, you know, it’s making us just a little bit less nuance. And it’s hard, because you do have this immediate strong emotional reaction to things that happen but I think it requires a little patience.